At a customer and integrating/managing Windows Phone 8 with Windows Intune and System Center Configuration Manager 2012 SP1 ? Using the Support Tool for Windows Intune Trial Management of Window Phone 8 (can be downloaded at http://www.microsoft.com/en-sg/download/details.aspx?id=39079) ? The Support Tool for Windows Intune Trial Management of Window Phone 8 facilitates Microsoft System Center 2012 Configuration Manager admins to try out Windows Phone 8 software distribution scenarios during the Trial period. However we couldn’t get our Windows phone 8 enrolled. It always came back with the following error on the phone : “We weren’t able to set up this company account on your phone”. If Are you using ADFS , check my previous blog post “Troubleshooting ADFS 2.1 Services for Windows Intune (WaveD)”. Have you synced your AD accounts to Azure AD? Is dirsync working correctly ? Check from Azure AD that you see your local AD users there. Reset your Users password. Because the user must reset the password after the first logon, logon to e.g. portal.manage.microsoft.com with the user account, before enrolling the device. Going down in the logs , by the way very difficult on a Windows phone 8 or Windows Intune side , the only option was to look into the System Center Configuration Manager Log files . Looking in the dmpdownloader.log and found the following line appearing every time I tried to enroll the WP8 device . Strange . Apparently to that message , it seems that we have Certificate issues on the Company portal . After re-registering the steps below , it works . Before it executed also successfully ,and I thought everything was OK , but I was wrong. So if you have the above error message “ Service health log: WP appStoreURI is missing for account “ , it means there is something wrong with your company portal and signed certificates. 1. Create your application “Company portal” that is included in the toolkit. 2. The first step to enable the management of Windows Phone 8 devices is to run the script that is included cscript ConfigureWP8Settings.vbs <server> QuerySSPModelName . It is important to notate the Scope_ID<GUID> information as it will be used in the next step. 3. Next we need to run the script again but this time in Save mode with the SSP name to populate the necessary certificate information that enables Windows Phone 8 Management. The command will will use this time is: cscript ConfigureWP8Settings.vbs <server> SaveSettings <Company Portal name> where <Company Portal name> is the output for Model Name from the earlier step. 4. After completion of the steps above, you can now verify that Windows Phone 8 device management is enabled. Now you can enroll your Windows Phone 8 devices in your Windows Intune Unified Trial Account. It works like a charm now . 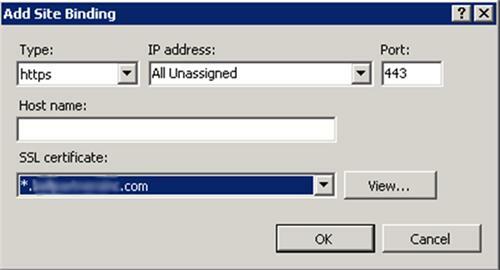 This article takes it step-by-step through initializing a new domain in Windows Intune WaveD , its verification, and configuration for single sign-on. This guide will show how to perform these steps on Windows Server 2012 with AD FS 2.1. We really need to get this information sorted first, because our certificate requests will be based on the FQDN of the farm name, and it isn’t possible to install ADFS services without a certificate. We’ll use “Federation.scug.be” – this name will be used by by Windows Intune federation services. This certificate absolutely must be issued by a public CA. For best practice and supportability this certificate should NOT a wildcard certificate. However my wildcard certificates were working flawless, but if you go that way and something does not work later down the road, your support options may be limited at this time. Next, we will create a service account for the purpose of installing and running ADFS Federation Service. This service account will be used to perform initial installation of the service as well as the WID SQL databases. During this initial installation, the service creates certificate containers in Active Directory, as well as SPN records for the shared IIS pool identity. To perform these tasks, the service account must be at least a Domain Admin. Make sure that you installed the ADFS Services thru “Add Roles and Features”. Your Active Directory Domain must be in Windows 2003 mixed or native mode. 5. When everything is ok , click close to close the wizard. 2. Specify your primary federation Server name and your ADFS service account . Now your ADFS Farm is installed and configured correctly.Now let’s show you how to introduce an AD FS Proxy Server. In addition to adding two federation server proxies, you must make sure that your perimeter network can also provide access to a Domain Name System (DNS) server and to a second hardware Network Load Balancing host. The second NLB host must be configured with an NLB cluster that uses an Internet-accessible cluster IP address, and it must use the same cluster DNS name (federation.SCUG.be) setting as the previous NLB cluster that you configured on the corporate network (Federation.scug.be). The federation server proxies should also be configured with Internet-accessible IP addresses. After the certificate has been imported, you’ll want to verify it by going back to Server Certificates in IIS. Next, you’ll need to add the Certificate to the Default Web Site. With the Default Web Site Selected click Bindings. Choose Type https, IP addresss All Unassigned, and Port 443. Then select the newly imported certificate and click Ok.
1. Select “ADFS Federation Services Proxy” thru “Add Roles and Features”. Now your ADFS Farm is completely installed and configured correctly. This brings us to the end of this post. In the next few posts, we’ll cover additional configuration and troubleshooting steps and bring this Windows Intune SSO / ADFS 2.1 infrastructure on Windows Server 2012 to a usable state. Did you ever wanted to build and test out a “Private Cloud” ? The core is the System Center suite. The 2012 version of SCVMM . A better way to manage any virtualization and can work with different fabric. Known as SCCM, The product that helps you roll out clients or servers and properly configure them and baseline them. The next version of SCCM which is really a brand new product.